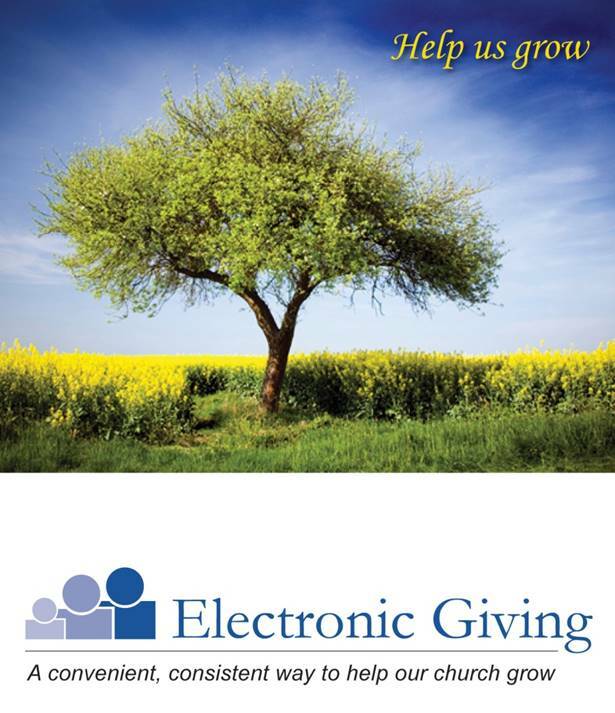 Grace Church is now offering the option of on-line giving. This is not for everyone but several people have expressed an interest in it and some are using it already. Basically instead of writing a check or putting cash in an envelope you allow the money to be taken directly out of your checking or savings account. You decide when you want the withdrawals to begin and how often (weekly, monthly, biweekly, etc.). You fill in a short form and attach a cancelled check. That is all you have to do! Is it safe? Yes, there are over 10,000 churches and non-profit organizations using this company. We currently have 11 giving units using the system with no problems. Can money be given to designated funds? Yes but remember it will have to be every offering. If you want to give to a memorial, flowers, or some other special fund you can just write a separate check (or cash). Does it cost anything? There is no cost to the user. The church is charged fifty cents to open or change an account. We are also charged twenty-five cents per contribution. Hence a monthly giver will cost $3 a year and a weekly giver will cost $13 per year. Generally a giver might miss an offering because of sickness or absence. This will fill in those gaps. Also church envelopes are expensive so if we order less we will save a large amount of that cost. How can I get started? Get a form from the church secretary or Jim Lott. Return the form to Jim or put it through the slot in the door across from the drinking fountain. What if I decide to stop the on-line giving or change the amount? Just contact Jim Lott to make changes. They can be changed in a week or less.